NBC News London Bureau reports that six people died and nearly 50 were injured when a terrorist attack unfolded in the heart of London on Saturday night. President Donald Trump offered support to the UK and the British people in the aftermath of three incidents in London Saturday. He also seized the opportunity to push his travel ban once again (notably in a tweet before he offered his condolences and support). 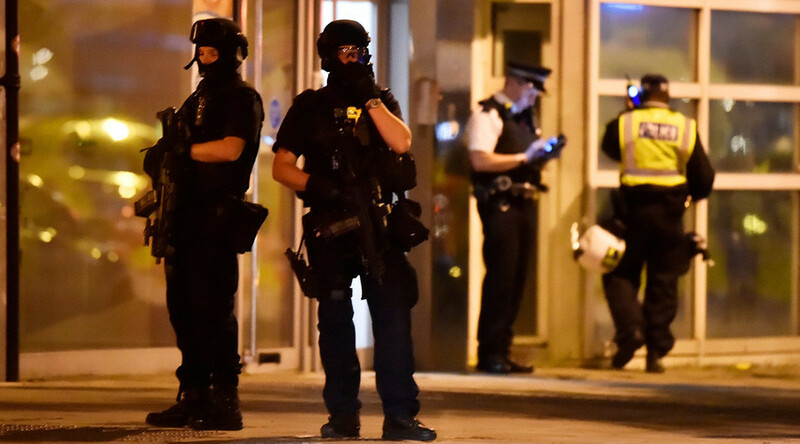 The US State Department encouraged any US citizens affected by the situation in London to contact their families and US authorities. “Metropolitan Police Assistant Commissioner Mark Rowley said the three men were wearing what appeared to be explosive vests but they turned out to be fake. “He added that all of the attackers were believed to have been killed but added that it was early in the investigation. “One of the those stabbed was a British Transport Police officer, who suffered serious but non-life threatening wounds. Forty-eight people were taken to hospitals in London, the ambulance service said.